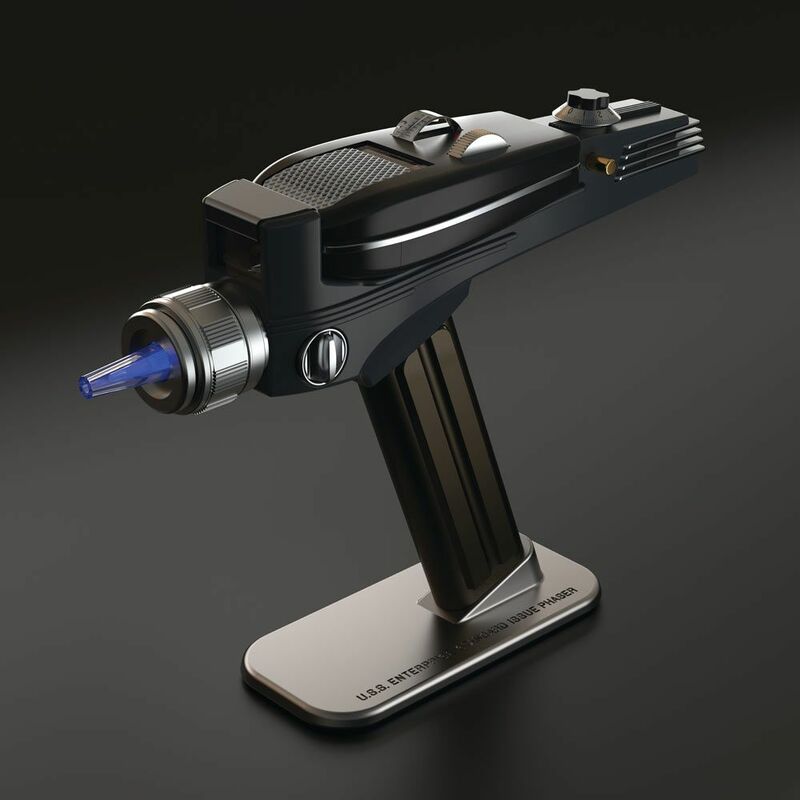 Join the ranks of Star Fleet on Starship Enterprise with this Star Trek Phaser Remote, designed off of the last known hero prop, owned by the legendary propmaker, Greg Jein. Made from die cast metal and cast resin. This fantastic piece of kit looks and feels like the phasers you know and love so well. As well as the aesthetically pleasing and accurate dimensions of this remote, it is also packed to the hilt with incredibly cool features for the ultimate cosplay experience. Features and functions include removable Phaser I, removable pistol grip with securing bolt, multi-coloured flashing emitter and range of Star Trek phaser and Enterprise sounds, opening sight and vibration motor for tactile feedback. Command almost all home entertainment equipment (and many other infrared remote controlled devices) with this gesture-based universal remote control.